www.hetadina.com: වතුර මෝටරයට පණ දෙමු..
12Volt 16Amp DC Programmable Timer with LCD Digital Display. Multiple day hour minute programming options. Up to 8 cycles per day. Internal battery back up saves your settings when power is disconnected. fountain pumps, or most any 12volt DC powered item rated at 16 amps or less. It is powered by any 12 volt DC source and will control 12 volt DC items. current consumption without load : 0.015mA. Cut out (MM) : Φ64. Fitting Depths (mm) : 21. Resistive Load (LVD .IEC) 16A /250V AC. 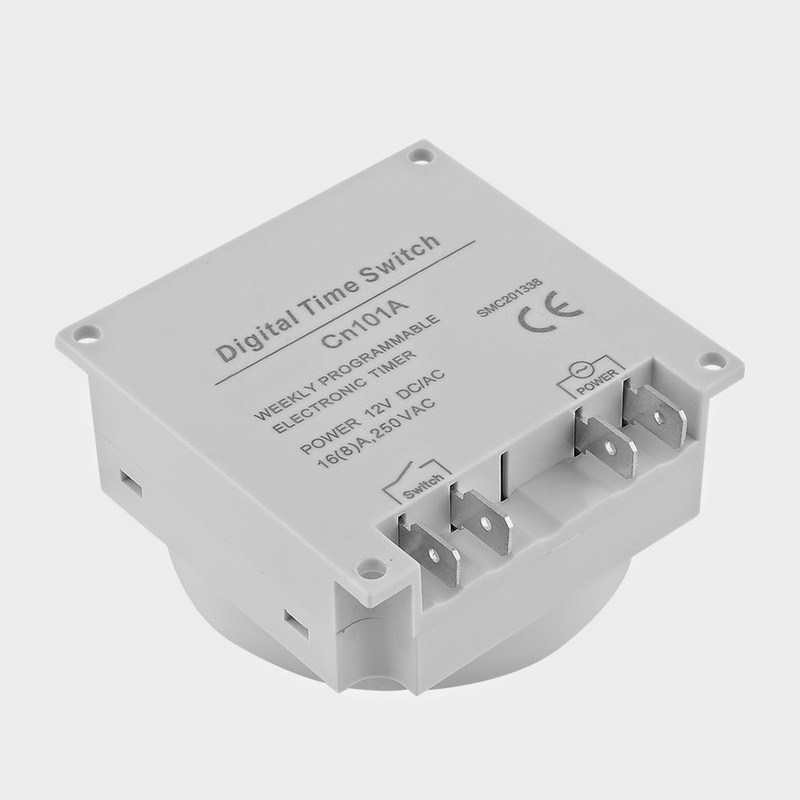 Inductive load cos . 0.6 8A /250V AC. 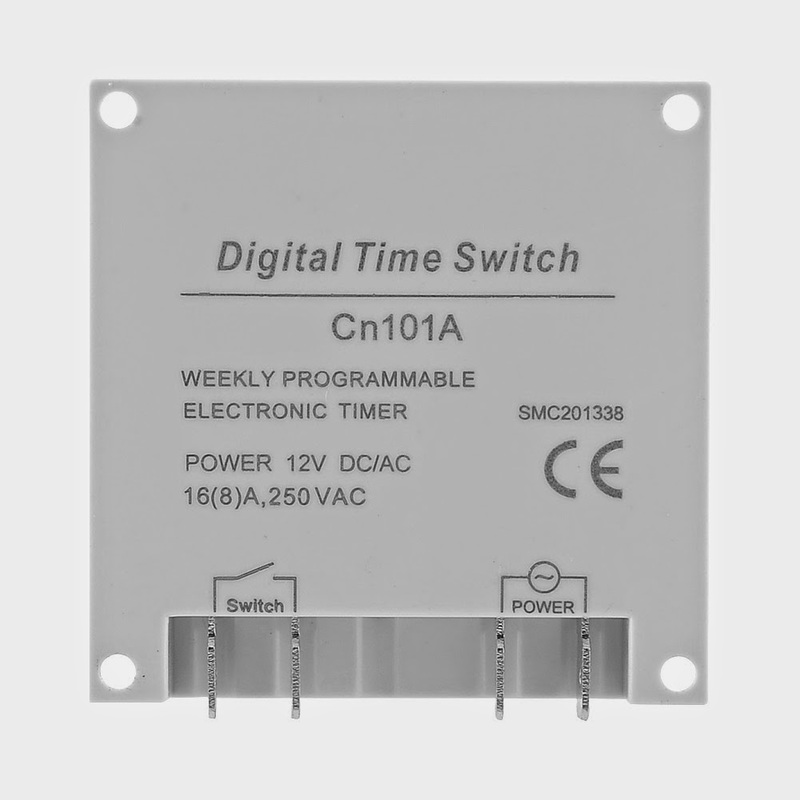 SWITCHING CURRENT DC : 16A/24V DC. Shortest switching time : 1 min. Shortest switching interval: 1 min. Number of channels \"\" 1. Number of memory spaces : 17. Operation accuracy : Type(+-)1 s/day. Type of connection : Plug in. 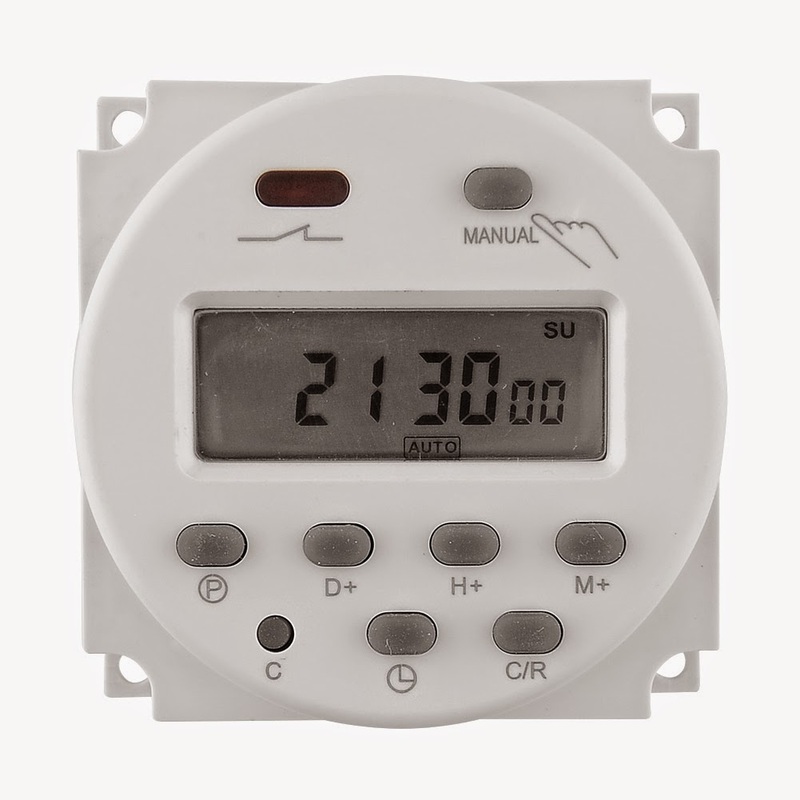 1.clock, timer, day, h+(setting the hours), m+(setting the minutes), manual override, reset. 2.Before starting the program, the timer should be charged for at least 5 minutes as the inbuild battery may be of no battery. 3.Before setting the program, press the key button reset, to clear the memorize data for the new instructions. 4.After the program is made, please insert the timer to the plug. Then connect the electric appliance to the timer. Second option: from Monday to Friday. Third option: Saturday and Sunday(weekend). Fourth option: from Monday to Saturday(working days). Fifth option: Monday, Wednesday, Friday. Sixth option: Tuesday, Thursday, Saturday. Seventh option: from Monday to Wednesday. Eighth option: from Wednesday to Saturday. 12 hours and 24 hours systems are optional. .මෙවැනි උපකරණ පිටකොටුවේ පළමු හරස් විදියේ යුනිටෙක් එකෙන් ගන්න පුළුවන්. Labels: වතුර මෝටරයට පණ දෙමු..